MOSCOW, March 30. /TASS/. Russia has notified the United States more than once of its attitude to the likely negative consequences of the decision to supply US weapons to Ukraine, Russian presidential spokesman Dmitry Peskov told the media on Friday. "We’ve stated more than once this decision will have negative consequences. Moscow’s viewpoint is well-known to Washington. It was repeatedly expressed to our US counterparts. 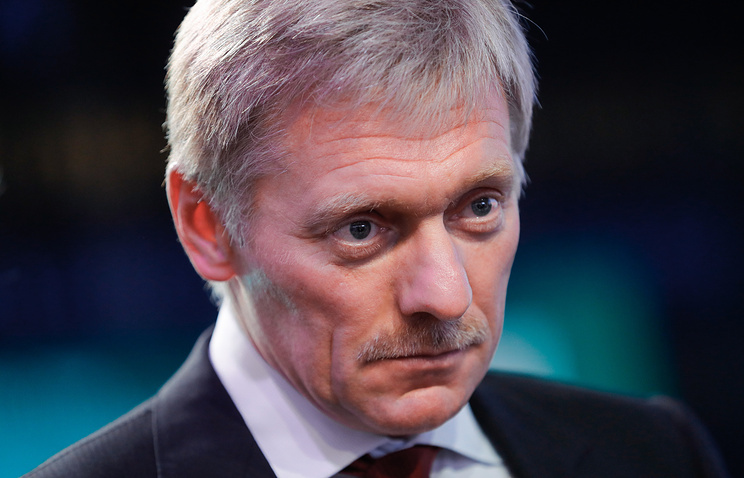 Washington is certainly in the know," Peskov said, when asked if Russia had discussed the issue of US arms supplies to Ukraine with Washington. US Department of State spokesperson Heather Nauert at the end of December said the US had decided to provide advanced defensive systems to Ukraine. In early March the Defense Security Cooperation Agency of the US Department of State declared that the Trump administration had made a decision to sell to Ukraine anti-tank weapons 47 million dollars’ worth - 210 rockets and 37 launchers Javelin. "This proposed sale will contribute to the foreign policy and national security of the United States by improving the security of Ukraine," the State Department's Defense Security Cooperation Agency said in a statement.